Update: Spinata Grande was chosen as 2015 Slot of the Year by EGR. 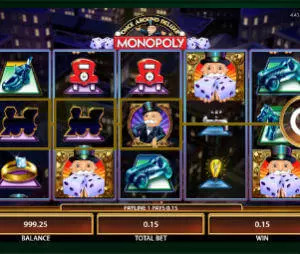 With coin denominations starting from $0.01, the fixed 20 paylines are unlikely to prove a major issue even for casual gamers, whereas high rollers can stake up to $10 per single line or $200 in total per spin, using coin value and bet level options. Spinata Grande features colossal symbols that appear as blocks of 2×2 or 3×3 icons and these can be combined with regular symbols to form winning combinations. And while these can definitely improve your winning chances, the problem is they do not appear as often as we would have liked. 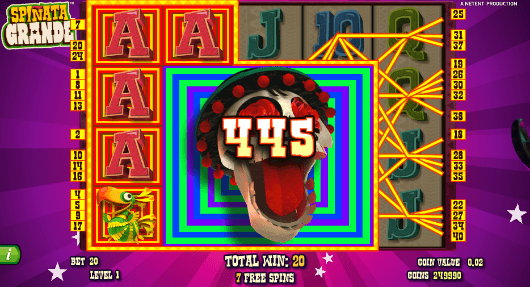 The Free Spins round acts as the main bonus game in the Spinata Grande slot, with three, four and five Free Spin icons anywhere awarding 5, 6 and 7 free spins respectively, which is far from impressive to say the least. The good news is that Colossal Wild, covering 3×3 grid, appears during the feature to improve your payouts (see the top image). Mini-Slot Feature offers another chance to drive up your earnings, with the Colossal Bonus symbol turning into 3, 6 or 9 mini-icons, where the new reels feature Free Spin icons, extra spin symbols and three different coin values. 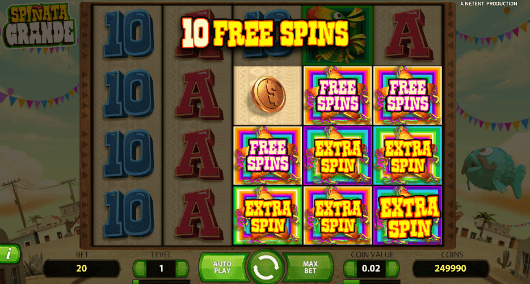 Spinata Grande slot epitomizes Net Entertainment’s spirit of innovation and desire to provide customers with a rewarding gaming experience on desktop and mobile. And while the winning combinations can take some time to occur, several colossal symbols appearing on subsequent spins can definitely help secure nice winnings in the process.